In Episode 4 of the Native Waters on Arid Lands podcast, we talk with Staci Emm about her work as the outreach lead on the Native Waters project. 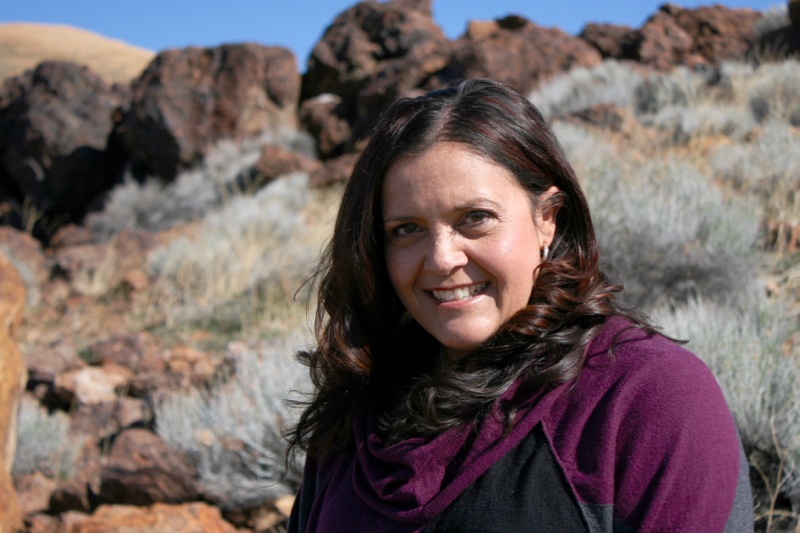 Staci is an extension educator and professor with the University of Nevada Cooperative Extension in Mineral County, Nevada. She is a member of the Yerington Paiute Tribe, and lives on the Walker River Reservation. Listen to the podcast and read below to learn more about Staci and her work. You can subscribe to this podcast on iTunes and Google Play. As the outreach lead on the Native Waters on Arid Lands project, Staci works as a communicator between tribes and the research team, helping to ensure that tribal members understand what is happening with the project and that the research team understands the needs of various tribes. This could mean making sure that tribes are aware of the types of data that the Native Waters research team can provide, or making sure that members of the research team understand the kinds of on-the-ground challenges that tribal agricultural producers face during times of climate extremes. In her work, Staci consults with tribal members and governments on reservations in the project area to learn about the challenges that they deal with. She also works closely with extension agents from the Federally Recognized Tribes Extension Program (FRTEP) and Tribal Colleges and Universities (TCUs). Extension agents live on various reservations in the project area, know the people, and understand the situations faced by each tribe. To be effective in outreach, Staci believes that her work should make a noticeable difference in people’s lives. By relaying information between tribes and the Native Waters research team, she helps to ensure that the information produced by this project is going to be useful. Staci grew up on the Walker River Reservation, where her family runs a farming and ranching operation. Over the years, she has seen how changes in climate and water resources impact agricultural operations on tribal lands. 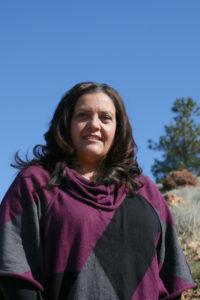 In her current position with the University of Nevada Cooperative Extension, she works to help make a difference in tribal communities through a variety of projects and programs. One program, called Veggies for Kids, is a health and nutrition program aimed at improving the diets of American Indian students by teaching them about the benefits of eating fruits and vegetables. Another important project that Staci works on is the Nevada Tribal College project, where she and a committee are completing a needs assessment to determine whether it might be feasible to establish a Tribal College in Nevada. At present, there are more than 30 Tribal Colleges and Universities in the United States, but none are located in Nevada, California, Utah or Idaho. Staci also serves as Chairman of the Board for the Indian Land Tenure Foundation, where she works as an advocate for land reform. In all of her endeavors, she says, her goal is to do work that helps people and has a positive impact on communities. To learn more about Staci’s work with the Native Waters on Arid Lands project, listen to podcast episode 4, below. Music for this podcast came from Podington Bear (song title: Bit Rio) on the Free Music Archive under a Creative Commons license. For a written transcript of this podcast, please contact kelsey.fitzgerald@dri.edu.